The State Department on Wednesday elevated its counterterrorism efforts, putting them in the same class as its divisions that oversee regional international diplomacy and intelligence gathering. The change in status to a full-fledged bureau, announced in September, will help raise the department's profile and its work in counterterrorism efforts both in the United States and abroad, Daniel Benjamin, the State Department coordinator for counterterrorism said at a briefing with reporters Wednesday. "Our ability to oversee and implement (counterterrorism) programs, which cover, by the way, everything from police training to countering the al Qaeda narrative, will be strengthened by the establishment of the bureau," Benjamin said. The elevation in status for the office has been a central goal for Secretary of State Hillary Clinton. 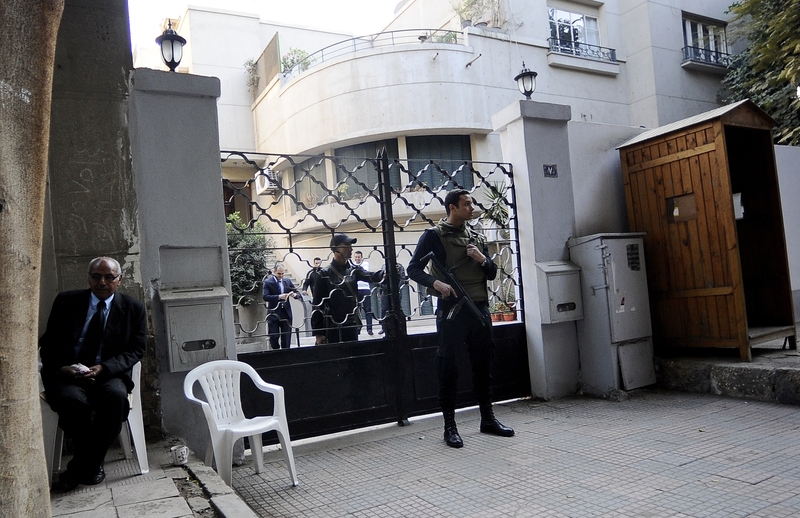 Egyptian officials still have not returned property or cash seized in a December 29 police raid on the Cairo offices of U.S. non-governmental organizations, according to two U.S.-based NGOs. The actions by the Egyptian police contradict assurances the State Department says were given to the U.S. ambassador by Egyptian authorities. "We had been assured by leaders in the Egyptian government that this issue would be resolved, that harassment would end, that NGOs would be allowed to go back to business as usual and that their property would be returned. It is, frankly, unacceptable to us that that situation has not been returned to normal," State Department spokeswoman Victoria Nuland told reporters in her daily press briefing Tuesday. Leslie Campbell, director of the National Democratic Institute's programs in the Middle East and North Africa, told CNN there has been "no change at all - nothing returned." The United States should give up the capability to fight two major ground wars simultaneously, according to a Pentagon review that will be presented this week, a U.S. official said Wednesday. The review will be publicly outlined by President Barack Obama, the White House announced. The president will join Defense Secretary Leon Panetta and Chairman of the Joint Chiefs Gen Martin Dempsey on Thursday at the Pentagon to discuss the military posture vision. The official, who was not authorized to speak publicly, said the strategic review presents priorities to guide the military into the future, but "they are proposals, not all of them set in stone." The review sets forth potentially big changes in U.S. strategy, including, the official said, removing up to 4,000 troops from Europe and downsizing the overall ground forces even further. The 2012 budget request already called for cuts of 27,000 soldiers and 20,000 Marines in the next four years, and those numbers could increase. 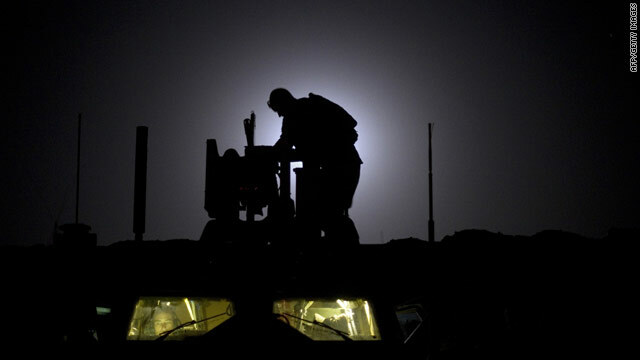 The military would not maintain its ability to wage two large conflicts at the same time, such as it did in Iraq and Afghanistan, the official said. But the United States would still be able to deploy troops and equipment to "deter a second adversary" while engaged in a major ground conflict. Secretary of Defense Leon Panetta has said the military needs to be able to respond rapidly to a crisis, even with a smaller budget constrained force. The official said the report is not expected to call for massive cuts to weapons programs. Pakistan ready for a reset? The chill between the United States and Pakistan continues in 2012, a condition that could contribute to a tough start for Pakistan's new ambassador to Washington. 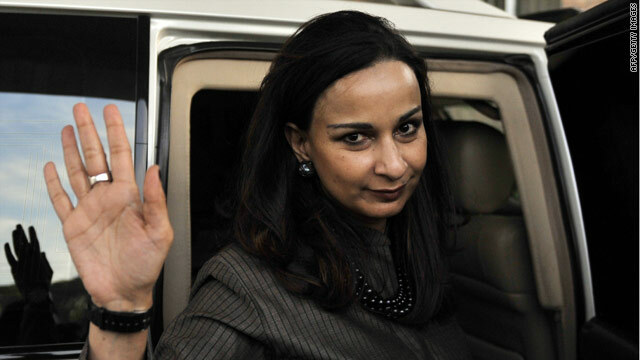 Sherry Rehman will arrive to take up her duties in Washington by the end of the week, a senior Pakistani official confirmed to CNN. Rehman, a longtime member of Pakistan's ruling People's Party and a confidant of former Prime Minister Benazir Bhutto, is a staunch supporter of human rights - a stance that could help in her new position, but she's got her work cut out for her.but she's got her work cut out for her. Pakistan continues to hold the United States at a distance after the disastrous NATO airstrike that killed 24 Pakistani soldiers on the border with Afghanistan. The U.S. military admitted error, but not enough to satisfy the Pakistanis whose own investigation offered a different take on what went wrong. U.S. officials have urged Saleh to step down from office as he promised as part of a political agreement clearing the way to presidential elections in February. 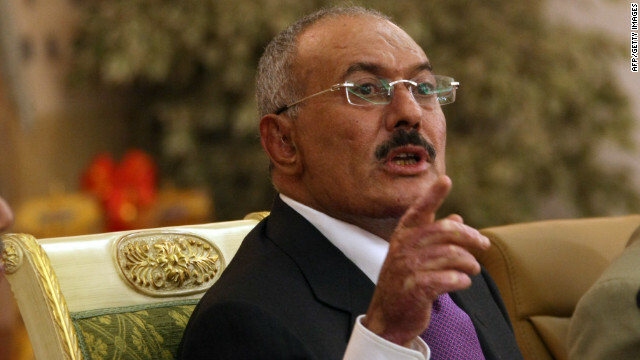 US officials previously have said Saleh’s continued presence in the country undermines stability in the fragile nation. Yemeni President Ali Abdullah Saleh has announced he will not travel to the United States for medical treatment, a diplomat in that country said Wednesday. The move reverses an earlier decision by Saleh, who said he planned to head to the United States amid the turmoil that continues to engulf his country. Saleh made the announcement in a meeting in the capital, Sanaa, with senior members of the ruling General People's Congress (GPC) including Cabinet, Parliament and Shura members. Saleh said GPC officials have asked him to stay to help end the current state of turmoil in his homeland, the diplomat said. U.S. officials had said they would consider allowing the Yemeni leader to seek treatment in New York in an effort to ease tension in the region, despite critics' claims that the move could weaken U.S. standing there and potentially help empower al Qaeda. Editor's note: Robert G. Rabil is associate professor of political science at Florida Atlantic University. The popular uprising in Syria against the Alawi-led minority regime of Bashar al-Assad poses a serious challenge to U.S. national security in the Middle East. As it fights for its survival amid escalating violence, the Syrian regime risks not only the deepening of civil strife in the country, but also provoking sectarian strife in the region, potentially drawing in U.S. military involvement. 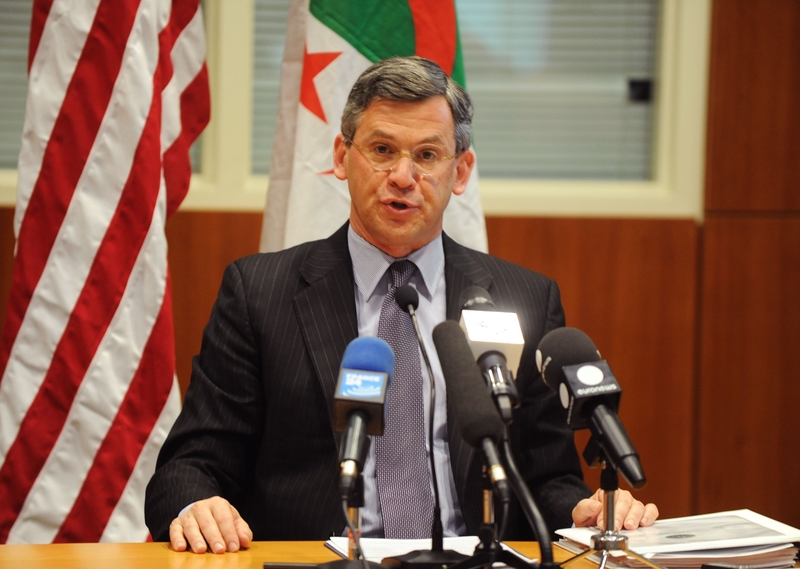 Washington has thus far been cautious in dealing with Syria, favoring strong words and sanctions against the regime and supporting Arab efforts to stop the violent military crackdown. 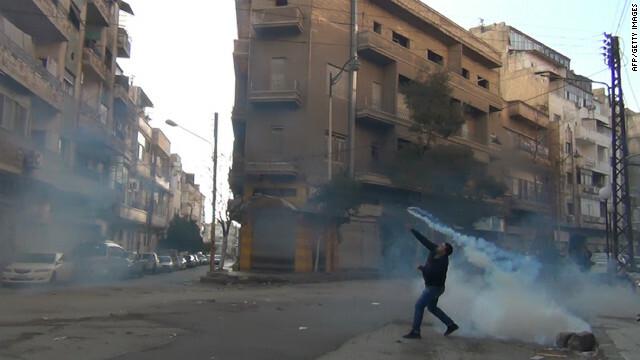 But this could change as conditions in Syria deteriorate. The recent arrival in Syria of Arab observers, as part of a Syrian-endorsed Arab League plan to stop the violence, has been met with mixed emotions. Syrian opposition members rejected the plan, which was mediated by Iraq, on the grounds that it will give the bestial regime another chance to continue its brutal policies.